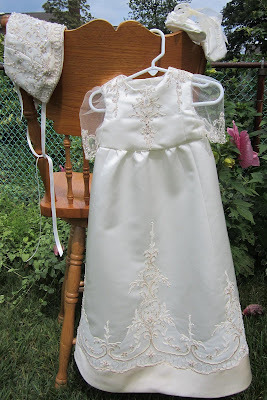 From beautifully adorned gown and veil we created a christening gown, bonnet and shoes. 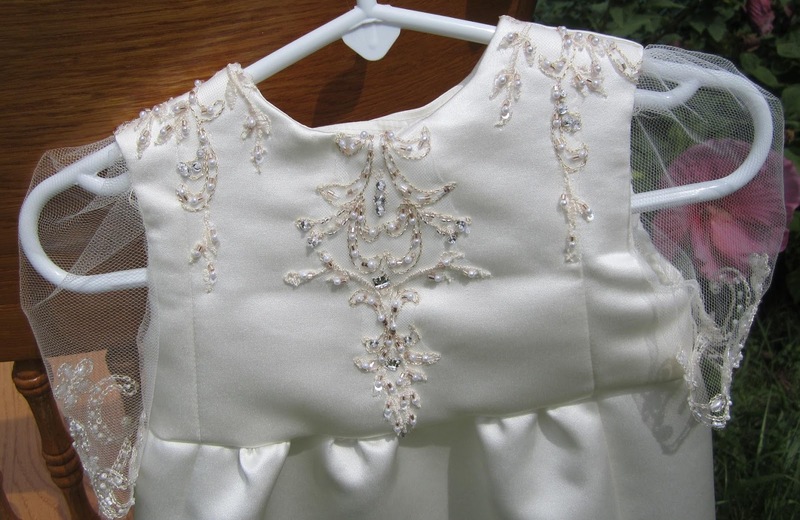 Mom wanted the bottom of the skirt to be used with it's satin band and appliques and the beadwork in the gown bodice for babie's bodice. 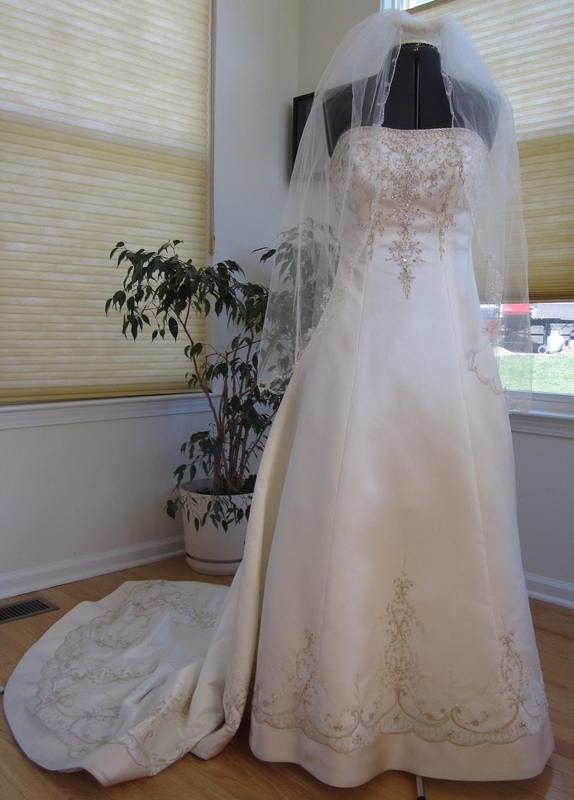 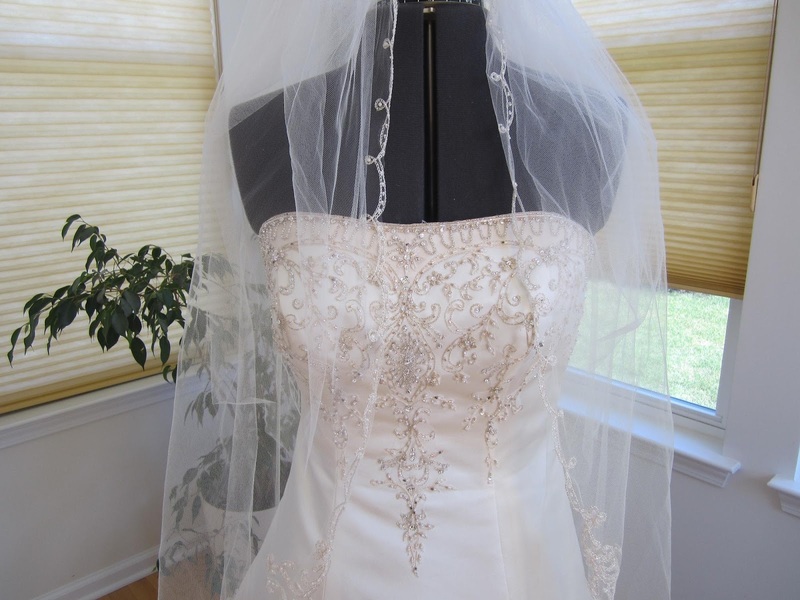 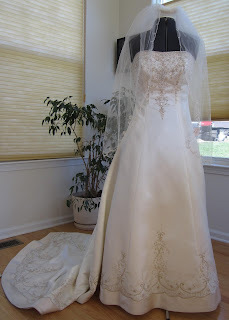 We used the veil and decorative beadwork to create sheer decorative sleeves. We tried something new, adorning the covered satin buttons with beads & "bling". 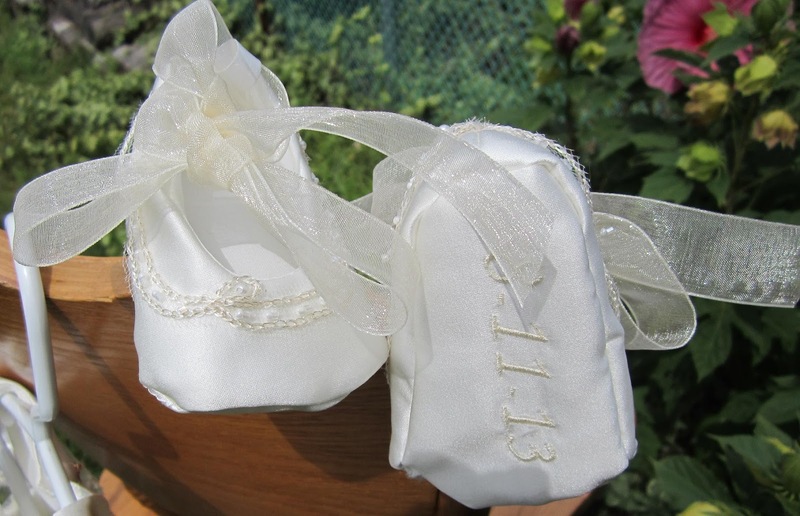 Mom decided on ballet type shoes, which we adorned with beading from the veil. 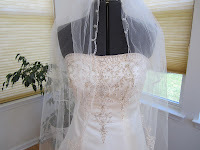 We also used the beaded bodice to create the bonnet.